Hey! Careful with that thing! 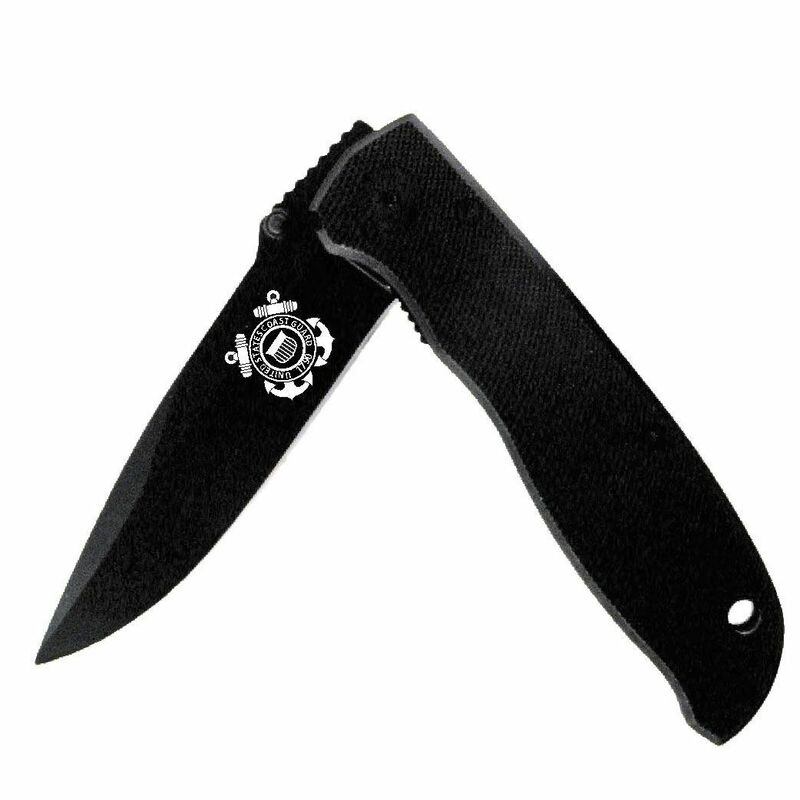 This sharp black blade is perfect for slicing and piercing while also showing your Coast Guard pride. Remember to lock the blade back into place once you are finished and take it with you.